ON SALE NOW! SAVE 20% AT CHECK-OUT! 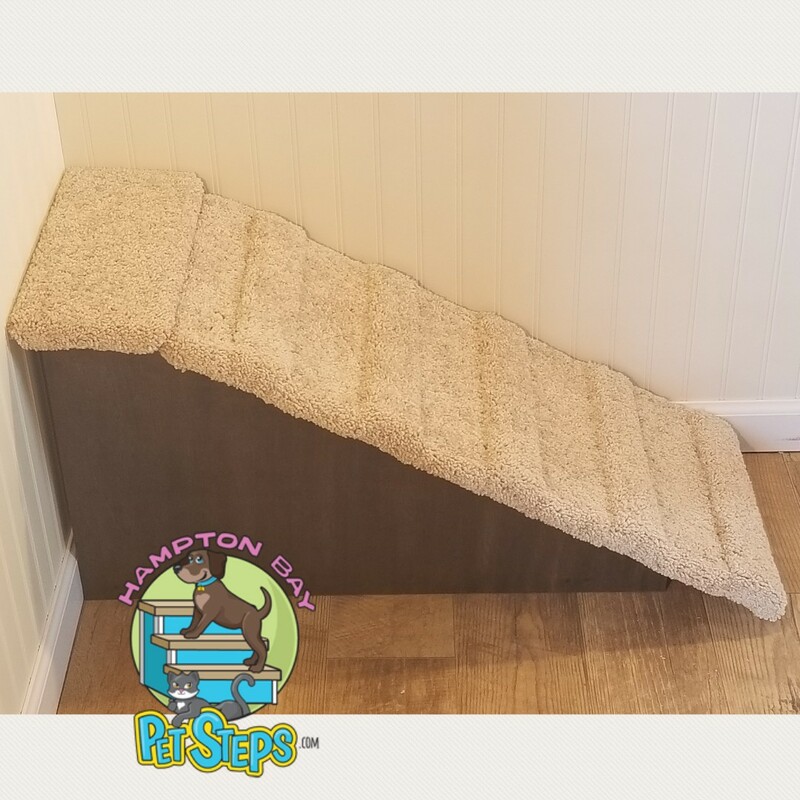 Custom dog ramp handmade in the USA by Hampton Bay Pet Steps, and will surely be a hit with you and your furry friends. 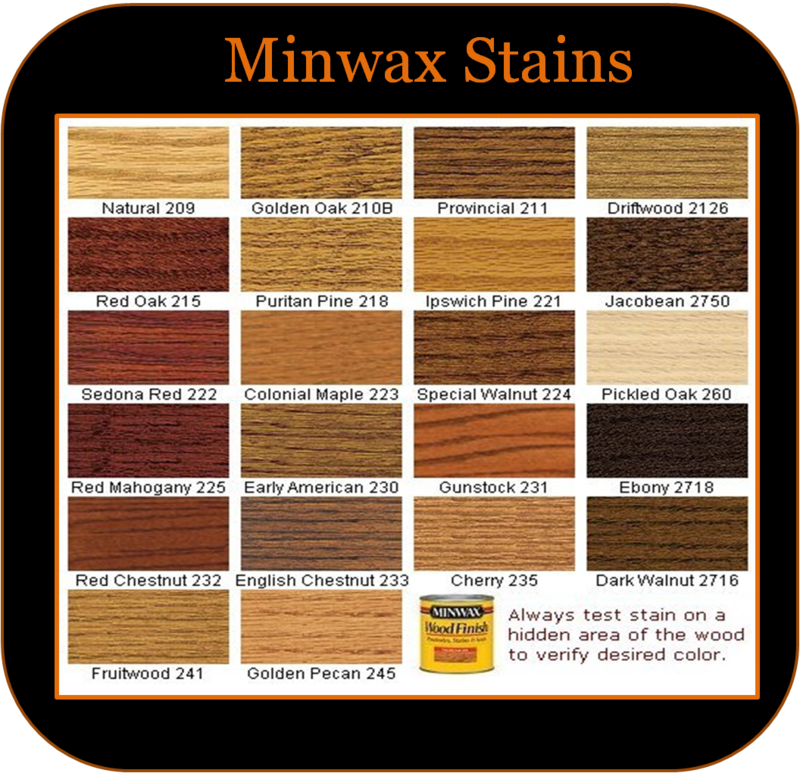 You may choose any stain color to match your decor' and comes fully assembled. 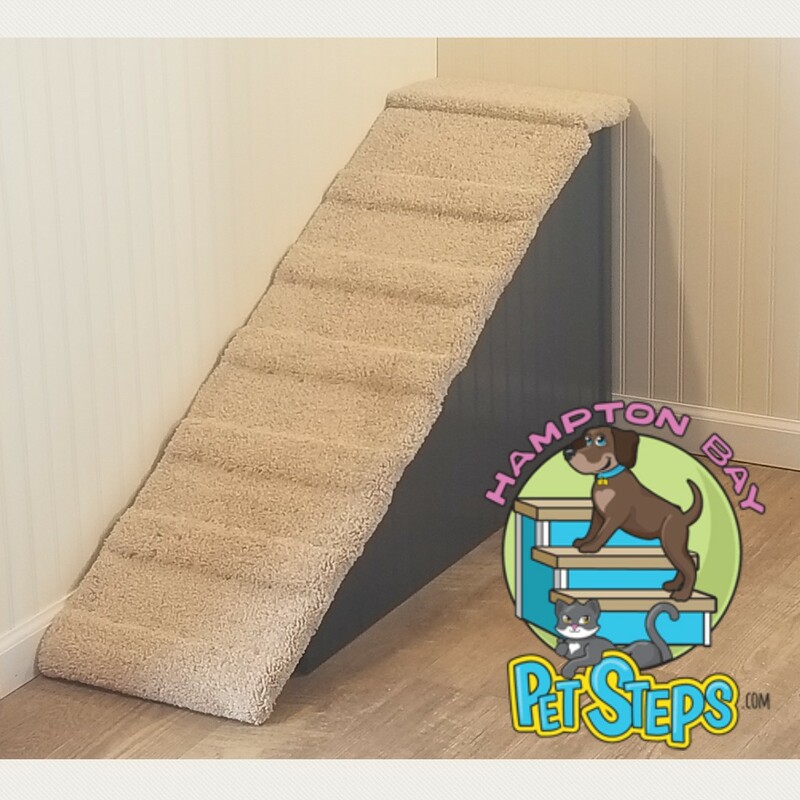 Hampton Bay Pet Steps donates $5 of every sale to our local Stray Rescue of St. Louis to help our furry homeless friends in need! 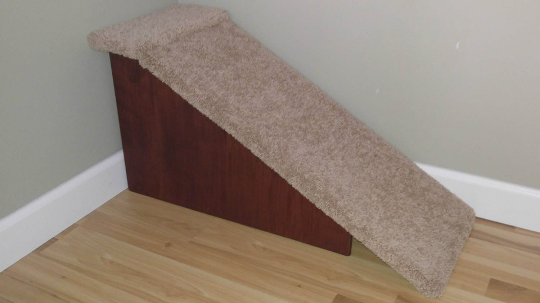 This dog ramp is best suited for pets 2-40 pounds. It is built with high-quality birch plywood and is incredibly light weight at just 20 pounds. 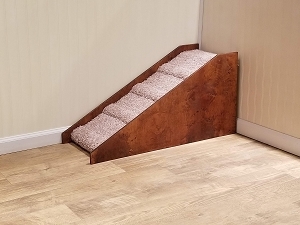 All of our ramps are carpeted with a plush type, residential cut pile, neutral tan carpeting backed with a built in stain beater for easy clean up. Our custom inlaid paw prints are only available in black. 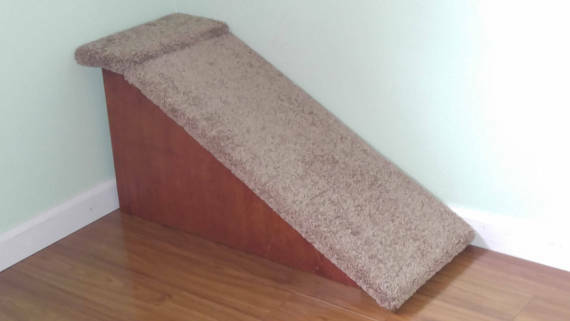 Carpet shades/tones cannot be guaranteed as they look different on different screens, monitors, etc. We currently only ship within the United States excluding Alaska & Hawaii. Due to the size of our packages, we are unable to ship to PO Boxes or APO's. We ship UPS Ground and insure with appropriate insurance. Thank you! 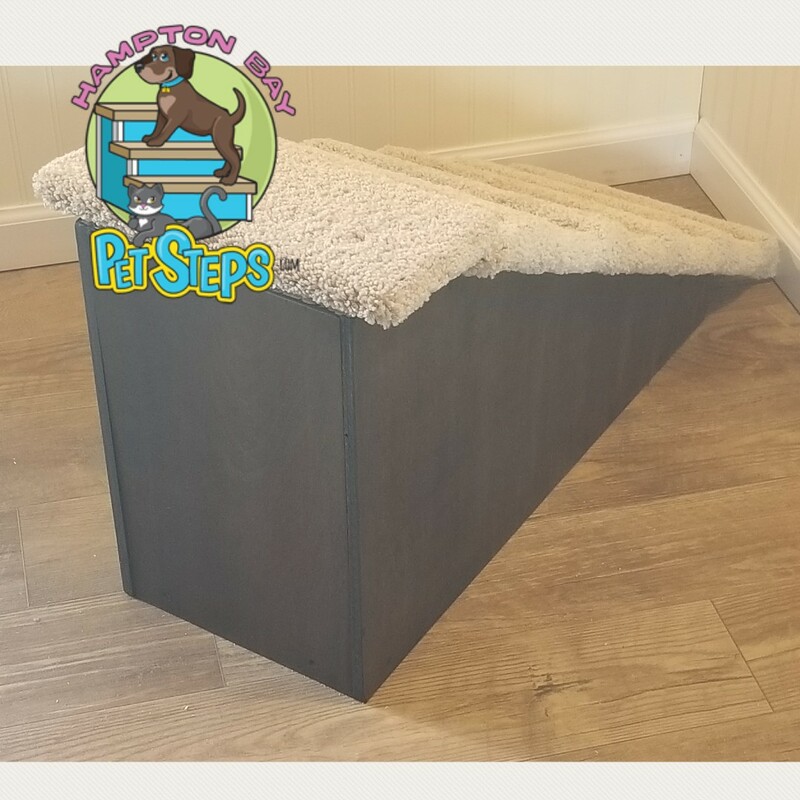 We look forward to helping you and your furry friends reach their favorite resting spot with ease. 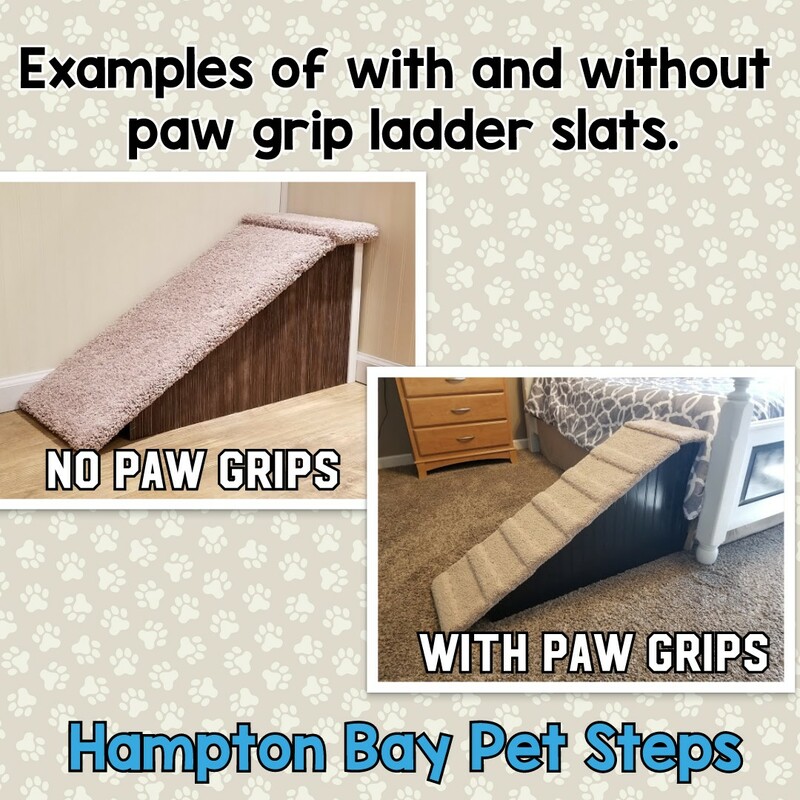 Copyright Hampton Bay Pet Steps. All Rights Reserved. powered by 3dcart Online Store. 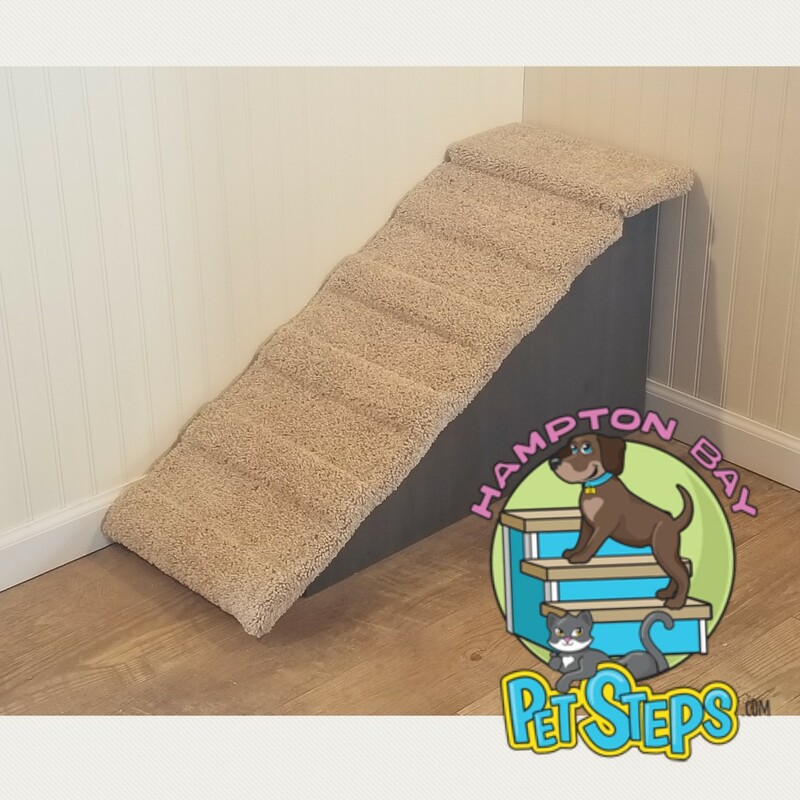 Hampton Bay Pet Steps donates $5 of every sale to Stray Rescue of St. Louis. Pet Steps and ramps work. 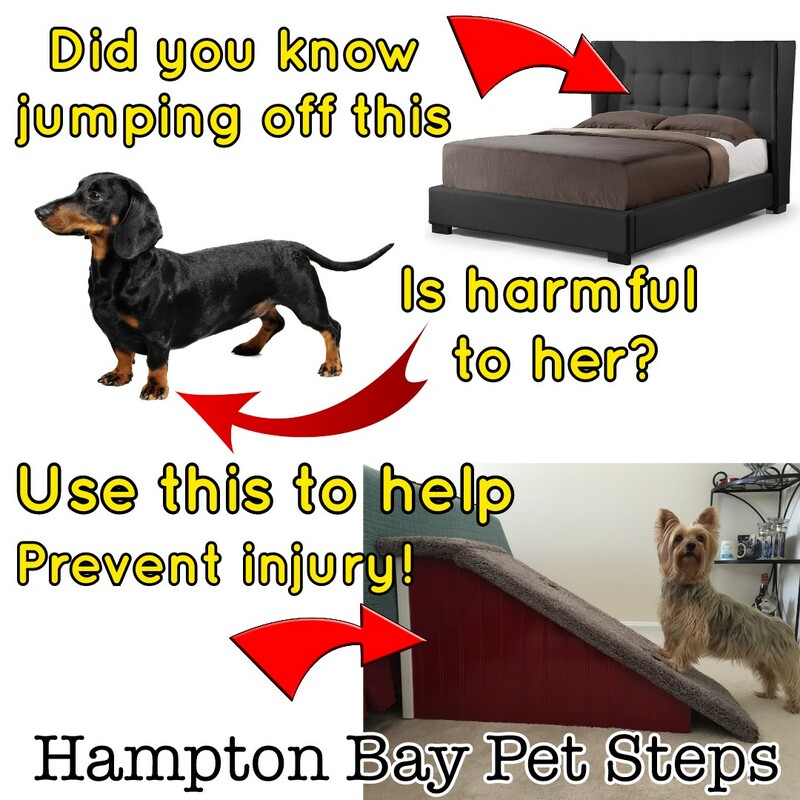 Read a recent testimonial from Dr. Anna Bruening DVM of Troy, MO "Many of my furry patients come in suffering from injuries due to jumping off of high beds. In most cases, these injuries could have been avoided with a quality set of pet stairs. 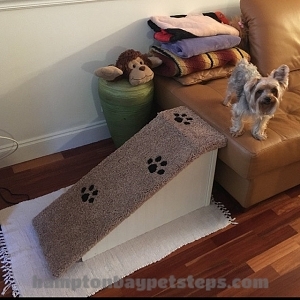 I personally have seen the quality of Hampton Bay Pet Steps pet furniture & happily give them my full endorsement."